Blacklist hooded Zig jacket. 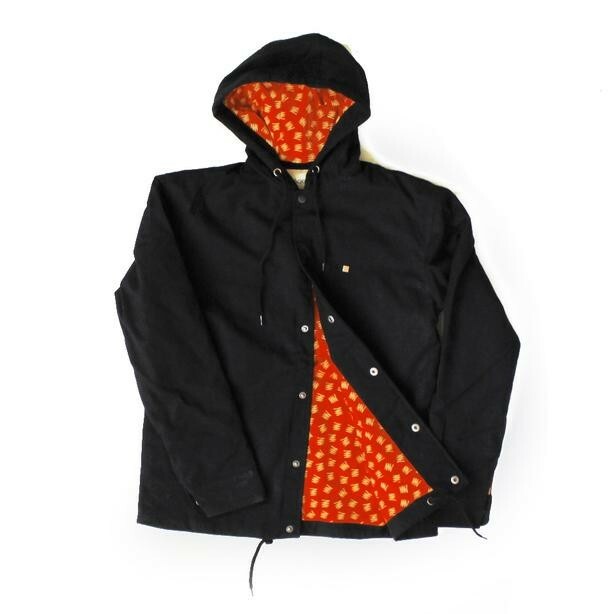 Fully custom twill jacket featuring all over Zig print liner. (runs about a size small so size up one size).